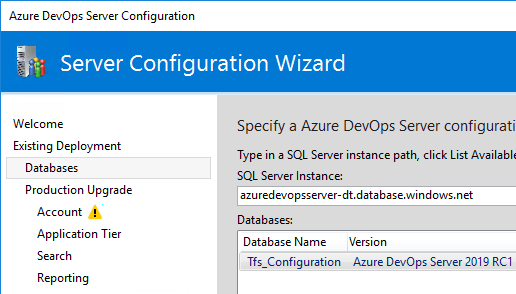 This is a consequence of the support for Azure SQL Database - as you can use it as a data tier now, you can also upgrade your existing Team Foundation Server instance to Azure DevOps in a lift and shift fashion. 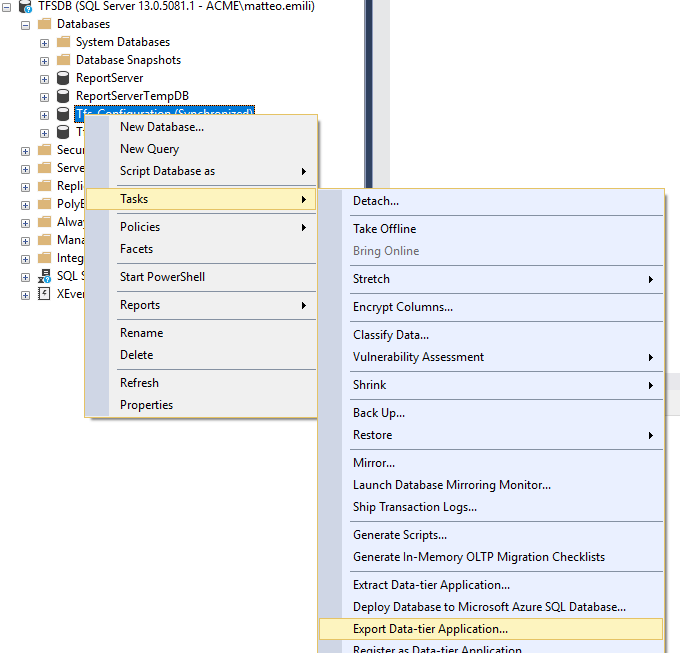 In order to lift and shift your databases, you need to import them into Azure SQL Database. You can use many methods like the Microsoft Data Migration Assistant, SSMS or a manual import. 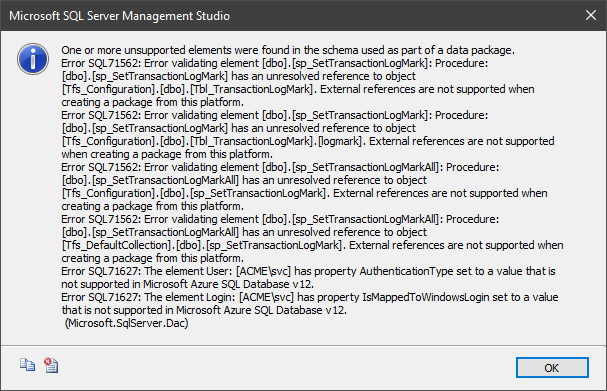 It is likely that you need to remove all the Windows users, and the table and stored procedures used for the scheduled backups. Remember that as of now it is still an experimental process - no support whatsoever for this, especially because you are modifying the database manually! Thanks Matteo, this was very helpful!